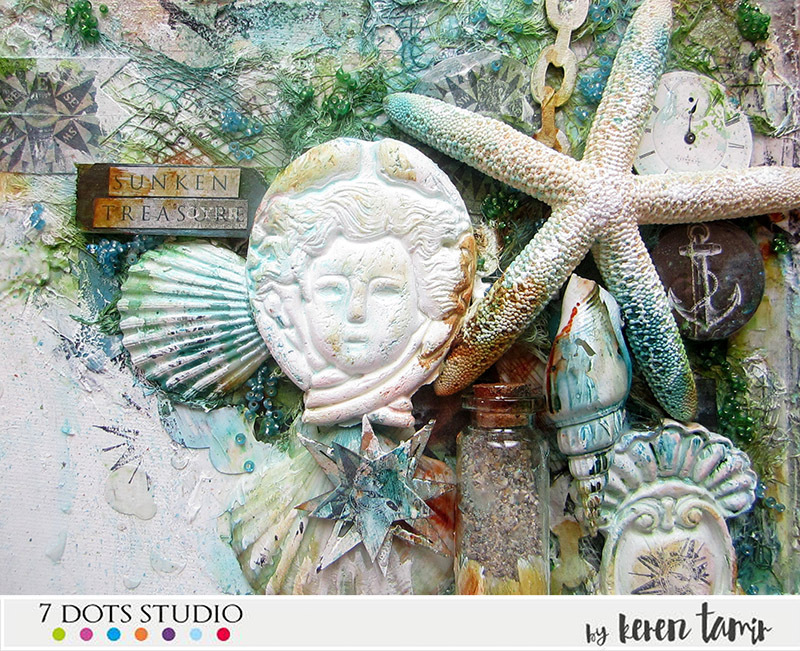 I created this mixed media canvas for the 7 Dots Studio Blog using the “Destination Unknown” collection. I wanted to create a piece that will look like underwater sunken treasure. I created this project on the Artists Live Ustream Channel this past week. Below you can find the video recording in case you missed the show. 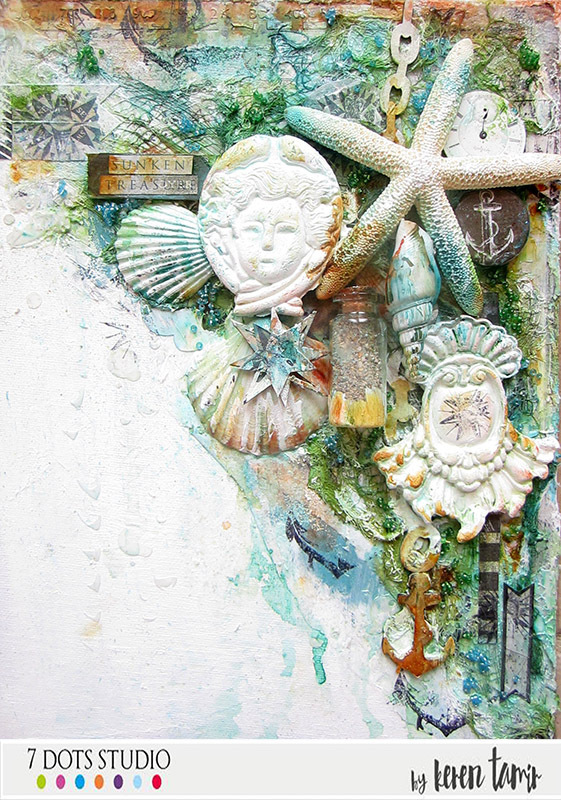 The “Destination Unknown” collection was perfect for this theme and I loved adding different looking embellishments to make them look like real underwater artifacts. I also added shells, a starfish, a glass bottle with sand, cheese cloth and beads to make it look like everything was underwater. Wow, this is stunning project. Love all the details, especially sea shealls and seastar. magnifique canvas, merci pour la vidéo! Keren another lovely piece of art from you. 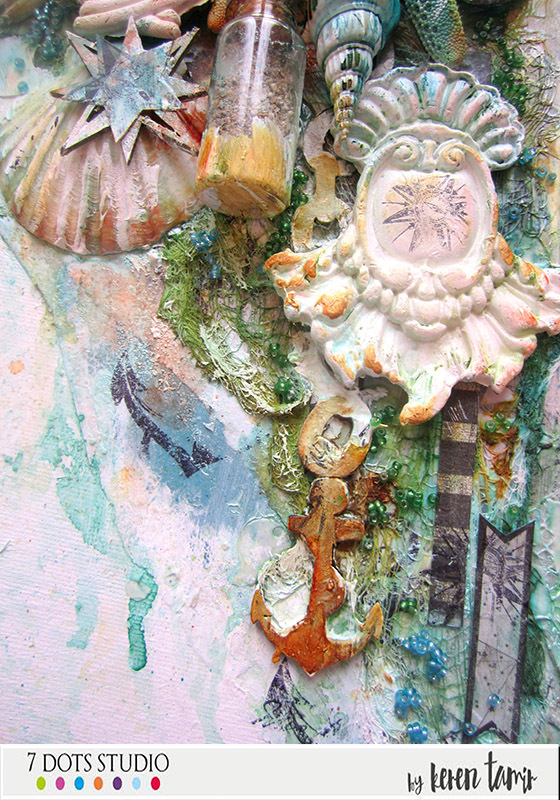 What a lot of exciting things going on here on this mixed media canvas. I love all the elements you placed in here. I love that you incorporated items made from molds and paper clay. You created a good feeling of depth … Using all the elements, cheese cloth, buttons etc….just awesome… !! !